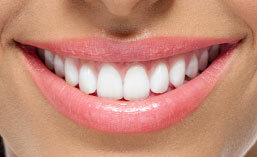 We offer one of the most affordable cosmetic dentistry services in Toronto and GTA. Let the best cosmetic dentist in Toronto fix your missing teeth, worn out teeth, gummy smile and discoloured teeth. If you are looking to correct any aesthetic imperfections in your gums, teeth or both, to get that perfect smile you’ve always wanted, cosmetic dentistry is the solution. Our cosmetic dentists have many years of experience in giving patients the natural looking results they deserve, by using industry leading cosmetic dentistry equipment and techniques. With a large array of cosmetic dentistry procedures available at our clinic, we always work closely with our patients to properly explain each procedure, so they can choose the best available options to give them the results they are looking for. Our consultative, no-pressure approach, along with our affordable pricing is what has allowed us to continue delivering the exceptional results that our patients across Toronto and GTA have come to trust. All cosmetic dentistry procedures at our clinic in Toronto begin with a FREE smile consultation. During this free consultation, our cosmetic dentist will examine your oral health looking for any signs of tooth decay, gum disease or any other potential problems that may interfere with your cosmetic dental treatment. We will also discuss any concerns you may have about the procedure, the expected results and the different cosmetic dentistry treatment options we have available to give you that perfect smile. Once the consultation is complete we can begin the cosmetic dentistry procedures that has been chosen by our cosmetic dentist. Using state-of-the-art equipment and industry leading cosmetic dentistry techniques, we will craft a natural looking, seamless smile, preserving your natural tooth structure as much as possible. Completion time of cosmetic dentistry will depend on the procedure you choose, with most procedures taking no more than one day to complete. Will my insurance cover my cosmetic dentistry costs? This will depend on each individual’s specific insurance coverage. In most cases, cosmetic dentistry will not be covered. There are, however, some procedures that are also considered restorative, such as dental implants, and may be able to qualify for insurance coverage. To be completely sure, we recommend calling your insurance company to ask about the specific procedure you are interested in. Can I be sedated during a cosmetic dentistry procedure? If I am missing teeth, what is the best cosmetic dentistry procedure for me? • Dentures – this is another low cost way of replacing a missing tooth. Dentures do not require that missing teeth are located next to one another like in a crown and can also be used to replace an entire row of missing teeth. • Dental Implants – a higher cost than the two previously mentioned, dental implants can be used to replace any number of missing teeth by surgically implanting an artificial tooth into your jawbone making it seem like you never lost those teeth to begin with. • Denture Implant – this method is recommended for people missing a large portion of their teeth who don’t want to use dentures. Similar to dental implants, 4 titanium roots are surgically placed into your jawbone which are used to attach to a fixed denture. Will teeth whitening work if my teeth are severely discolored? 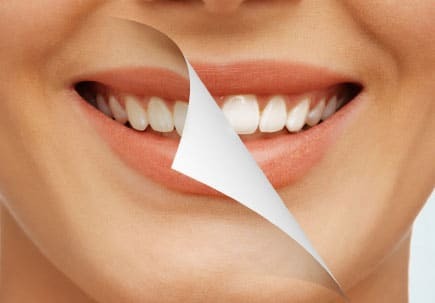 If you teeth have experienced severe discoloration, chances are that teeth whitening will not give you the bright white smile you are hoping for. 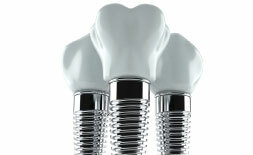 In these cases other options are available such as composite bonding or porcelain veneers. 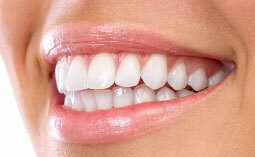 Does teeth whitening have any side effects associated with it? Our dentists take the necessary measures to ensure that bleaching agents do not damage your gum tissue so that you can have a comfortable teeth whitening experience. After the procedure is complete you may experience tooth sensitivity for a short period of time. Are children and teenagers candidates for cosmetic dentistry? 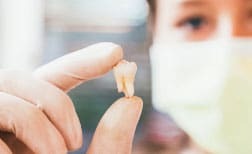 Children and teenagers can undergo some of the cosmetic dentistry procedures available, however, some procedures, such as dental implants, can not be performed until bone growth is complete. Consult one of our dentists if your child is interested in a cosmetic dentistry procedure so that we can assess the situation and recommend the best solution. 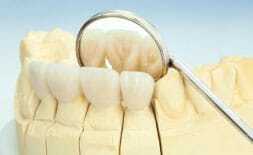 Can smokers undergo a cosmetic dentistry procedure? Special consideration for some cosmetic dentistry procedures will be given to smokers. The reason for this is that smoking can significantly deteriorate your oral health through conditions such as periodontal disease, bone structure loss, oral cancer and many others. These conditions damage your gums and bone structures making it very difficult to successfully conduct a cosmetic dentistry procedure. 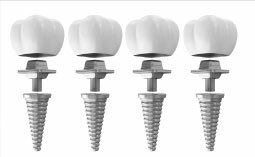 One example of this is dental implants which requires a healthy jawbone for osseointegration between your jawbone and implant to occur. In reality, undergoing any type of cosmetic dentistry procedure is a personal choice. If you want to make improvements to your smile one of our dentists can help you in determining the right procedure to attain the results you are looking for. Our dentist will also assess your overall health condition to determine if you are a suitable candidate for the recommended treatment. Generally speaking, if you are self-conscious about your smile or the appearance of your teeth, cosmetic dentistry can help improve those qualities.